Wanna dance? 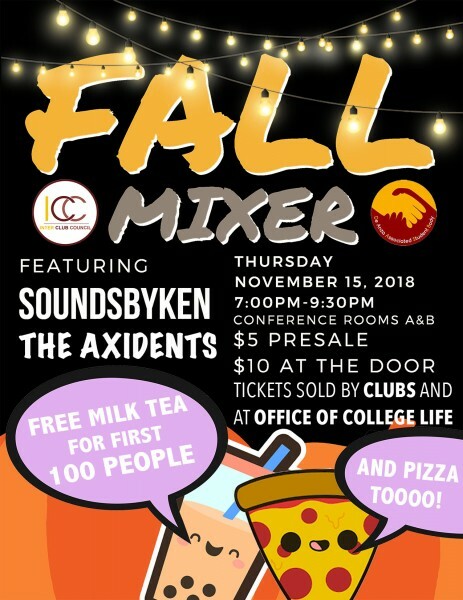 Come out for the Fall Mixer, sponsored by the DASB and Inter Club Council. Tickets are $5 in advance – sold by clubs and the Office of College Life – or $10 at the door.